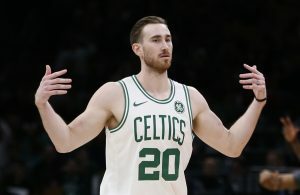 (Miami, FL) – Playing without both LeBron James and Kyrie Irving and suiting up just nine players, the Cleveland Cavaliers started fast but were unable to maintain their early level of success, dropping a 120-92 decision to the Miami Heat at American Airlines Arena on Saturday night. None of the nine Cavaliers players saw more than 30 minutes of action in a game that began to fall apart during the second quarter and then collapsed in the third quarter. 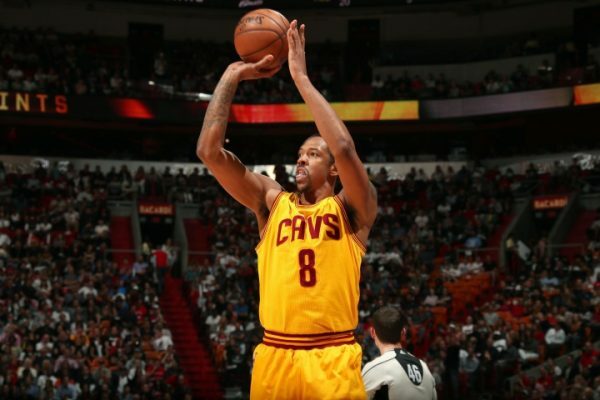 Six Cavaliers ended the night scoring in double figures, led by Channing Frye with 21 and Kyle Korver with 15. Richard Jefferson added 11, while the trio of Tristan Thompson, Deron Williams and Derrick Williams each contributed 10 points. One of the few bright spots on the night was Deron Williams, displaying his playmaking skills with seven assists and adding five rebounds on the night. The Heat held a 48-33 advantage in rebounds, with Cavs guard DeAndre Liggins actually leading the team in that area with eight boards. Miami’s final basket wasn’t without controversy as rookie Rodney McGruder’s dunk was supplemented by a slap of Frye’s back. That caused the rehabilitating J.R. Smith to confront McGruder immediately after the game before quickly being led to the Cavaliers’ locker room. Cleveland connected on 10-of-12 from the field to start the game and ended the first quarter in a 35-all deadlock with Miami. 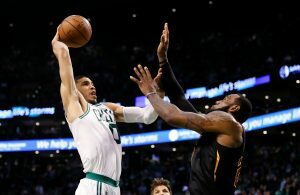 That would be as good as it would get for the Cavaliers, who went ice-cold during the second quarter, hitting just 29 percent of their shots after draining 68 percent during the opening period. One night after setting a new NBA regular-season record for 3-pointers in a game, the Cavs found themselves on the receiving end of a barrage of triples. During the first half, the Heat drilled 11 long-range attempts after having nailed 8-of-10 in that department to start the game, numbers that explain in part why they had held a 67-51 halftime advantage. They would finish the contest with 18 treys. Any chance to make a comeback faded when the Heat hit on 65 percent of their shots from the field during the third quarter, while also holding an 11-2 edge on the glass. They boosted their lead to as much as 28 points and went into the final period with a commanding 101-75 lead. 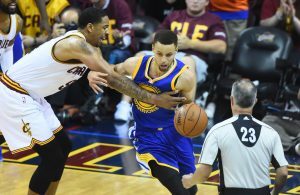 The same two teams will meet again on Monday night, this time at Quicken Loans Arena in a game that will tip off just after 7 p.m. James and Irving are expected to be back in the lineup for the Cavaliers, who will also have their new acquisition, veteran center Andrew Bogut, ready to see action.